William Henry Bagwell was born on 6 January 1844 in Jackson County, Indiana.1,2,3 He was the son of McCallan Bagwell and Rachel Waskom.1,2 Served in Company E, 50th Infantry Indiana in the United States Army during the Civil War. OVERVIEW: Organized at Seymour, Ind., and mustered in September 12, 1861. Moved to New Albany, Ind., October 25; thence to Bardstown, Ky., December 25. Attached to 15th Brigade, 4th Division, Army of the Ohio, to June, 1862. Unassigned Railroad Guard, Army of the Ohio, to September, 1862. District of Louisville, Ky., Dept. of the Ohio, to November, 1862. District of Jackson, Tenn., 13th Army Corps (Old), Dept. of the Tennessee, to December, 1862. 2nd Brigade, District of Jackson, Tenn., 16th Army Corps, to March, 1863. 2nd Brigade, 3rd Division, 16th Army Corps, to August, 1863. True's Brigade, Arkansas Expedition, to January, 1864. Unassigned, 2nd Division, 7th Army Corps, Dept. of Arkansas, to April, 1864. 1st Brigade, 3rd Division, 7th Army Corps, to May, 1864. 1st Brigade, 1st Division, Tth Army Corps, to February, 1865. 2nd Brigade, 3rd Division, 13th Army Corps (New), Military Division West Mississippi, to April, 1865. 2nd Brigade, 2nd Division, 16th Army Corps, Military Division West Mississippi, to May, 1865. SERVICE:Duty at Bardstown, Ky., till February, 1862. Advance on Bowling Green, Ky., and Nashville, Tenn., February 10-March 3. Guard duty along Nashville & Chattanooga Railroad till September, 1862. Operations against Morgan July 4-28. Near Edgefield Junction August 20 (Detachment). Pilot Knob August 20. Siege of Munfordsville, Ky., September 14-17 (Cos. "A," "B," "D," "F" and "H"). Captured September 17. Paroled and sent to Indianapolis, Ind., and duty there till November. Moved to Jackson, Tenn., November 1-10. Operations against Forest in West Tennessee December 18, 1862, to January 3, 1863. Huntington December 29-30. Parker's Cross Roads, near Jackson, December 30. Clarksburg December 30 (Detachment). Red Mound (or Parker's) Cross Roads December 31. Duty at Jackson, Colliersville and Memphis, Tenn., till August, 1863. Moved to Helena, Ark., August 28. Steele's Expedition to Little Rock September 1-10. Bayou Fourche and capture of Little Rock September 10. Garrison duty at Lewisburg, Ark., till March, 1864. Re-enlisted March 2, 1864. Steele's Expedition to Camden March 23-May 3. Antoine and Terre Noir Creek April 2. Prairie D'Ann April 9-12. Camden April 15. Liberty Post office April 15-16. Camden April 16-18. Red Mound April 17. Jenkins' Ferry, Saline River, April 30. Duty at Little Rock till July. Non-Veterans till December. Veterans absent on furlough July-August. Duty at Little Rock till January, 1865. Carr's Expedition to Saline River January 22-February 4. Moved to Mobile Puint, Ala., February, 1865. Campaign against Mobile and its defences March 17-April 12. Siege of Spanish Fort and Fort Blakely March 26-April 8. Assault and capture of Fort Blakely April 9. Capture of Mobile April 12. Whistler's Station April 13, March to Montgomery April 13-22. Consolidated with 52nd Indiana Infantry May 25, 1865. [S709] United States Federal Census, Washington, District of Columbia, Population Schedule: Owen, Jackson, Indiana; Page 189; Dwelling Number: 280; Family Number: 282, Date: 1850. [S710] United States Federal Census, Washington, District of Columbia, Population Schedule: Grassy Fork, Jackson, Indiana; Page: 23, Dwelling: 157, Family Number: 164, Date: 1870. [S895] United States Federal Census, Washington, District of Columbia, Population Schedule: Grassy Fork, Jackson, Indiana; Emuneration District: 78, Supervisor District: 80, Sheet: 6A, Dwelling: 117, Family Number: 126, Date: 1920. [S896] United States Federal Census, Washington, District of Columbia, Population Schedule: Grassy Fork, Jackson, Indiana; Emuneration District: 69, Supervisor District: 4, Sheet: 10A, Dwelling: 198, Family Number: 199, Date: 1900. [S706] Sr Joseph Waskom Grave Stone, Find a Grave, www.findagrave.com. [S707] Sarah Young Waskom Grave Stone, Find a Grave, www.findagrave.com. Levi Morgan was born on 19 October 1820 in Pennsylvania. He married Rachel Waskom, daughter of Joseph Waskom and Sarah Young, on 23 September 1855 at Jackson County, Indiana.1,2 Levi Morgan died on 2 April 1856 in Grassy Fork, Jackson County, Indiana, at age 35. John Bell was born on 24 February 1811 in Illinois. He married Rachel Waskom, daughter of Joseph Waskom and Sarah Young, on 14 February 1872 at Jackson County, Indiana.1 John Bell died on 6 January 1881 in Jackson County, Pennsylvania, at age 69. Joseph Bagwell was also known as Joe Bagwell.3 He was born on 16 July 1891 in Brownstown, Jackson County, Indiana.1,2,3 He was the son of William Henry Bagwell and Nancy A. Bush.1 Joseph Bagwell married Mary Johnson after 1905. Joseph Bagwell lived on 5 June 1917 in Brownstown, Jackson County, Indiana.2 He lived on 26 April 1942 in Rockford, Winnebago County, Illinois.3 He died on 16 August 1970 in Lena, Stephenson County, Illinois, at age 79. He was buried at New Milford Cemetery, New Milford, Winnebago County, Illinois. [S905] Indiana Registration Location: Jackson County, WW I Draft Registration Card: Joseph Bagwell, Roll 1613157; Draft Board: 0. [S909] Illinois Registration Location: Rockford, WW II Draft Registration Card: Joe Bagwell, Roll 30955_164594. Levi Morgan was born on 25 August 1856 in Jackson County, Indiana.1 He was the son of Levi Morgan and Rachel Waskom.1 Levi Morgan died on 17 December 1925 in Jackson County, Indiana, at age 69. He died in Russell Chapel Cemetery, Tampico, Jackson County, Indiana. [S713] Charles W Bagwell Grave Stone, Find a Grave, www.findagrave.com. [S714] Florence I Bagwell Grave Stone, Find a Grave, www.findagrave.com. [S1703] GenealogyBuff, Wabash County, Indiana Obituary Collection. [S711] Elihu B Bagwell Grave Stone, Find a Grave, www.findagrave.com. [S712] Elizabeth Bagwell Grave Stone, Find a Grave, www.findagrave.com. 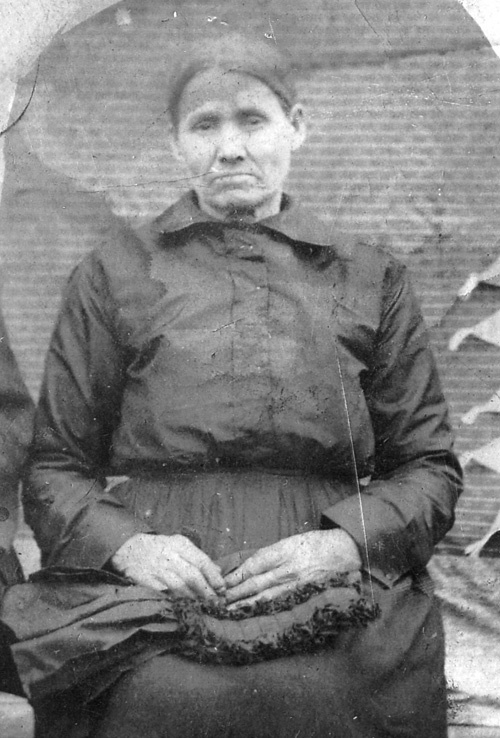 Grace Marie Bagwell was born on 10 December 1884 in Pitsburg, Darke County, Ohio. She was the daughter of Reverend Elihu Burton Bagwell and Mary Elizabeth Niswonger. As of 24 February 1909,her married name was Beery. Grace Marie Bagwell married Percy T. Beery on 24 February 1909 at Ohio. Grace Marie Bagwell died on 23 November 1969 in North Manchester, Wabash County, Indiana, at age 84. Percy T. Beery was born on 24 July 1886 in Fairfield County, Ohio. He married Grace Marie Bagwell, daughter of Reverend Elihu Burton Bagwell and Mary Elizabeth Niswonger, on 24 February 1909 at Ohio. Percy T. Beery died on 22 June 1925 in Pleasantville, Fairfield County, Ohio, at age 38. Omar Cabel Bagwell was born on 11 November 1886 in Darke County, Ohio. He was the son of Reverend Elihu Burton Bagwell and Mary Elizabeth Niswonger. 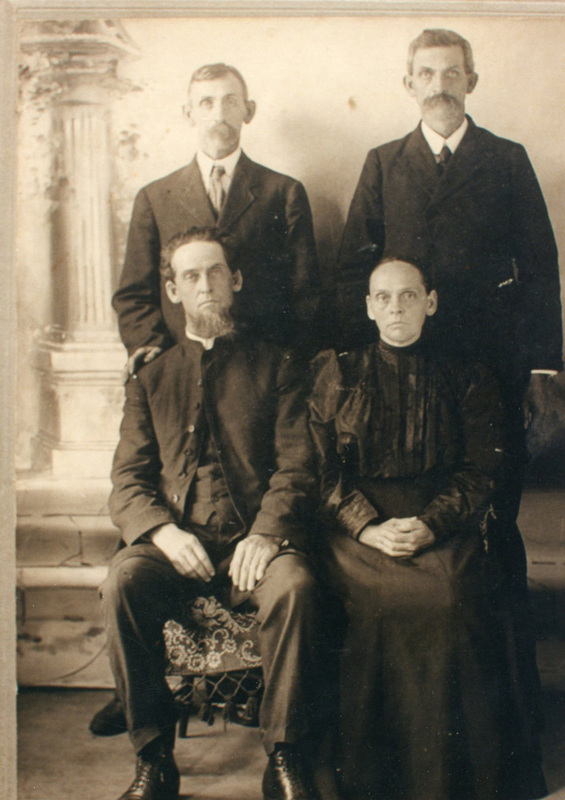 Omar Cabel Bagwell married Hattie Belle Ruehlen on 21 January 1909 at Logan County, Ohio. Omar Cabel Bagwell died on 4 February 1972 in Largo, Pinellas, Pinellas County, Florida, at age 85. Hattie Belle Ruehlen was born on 7 June 1883 in Logan County, Ohio. As of 21 January 1909,her married name was Bagwell. She married Omar Cabel Bagwell, son of Reverend Elihu Burton Bagwell and Mary Elizabeth Niswonger, on 21 January 1909 at Logan County, Ohio. Hattie Belle Ruehlen died on 12 July 1964 at age 81. Jesse Lewis Bagwell was born on 27 July 1888 in Pitsburg, Darke County, Ohio. He was the son of Reverend Elihu Burton Bagwell and Mary Elizabeth Niswonger. Jesse Lewis Bagwell married Jeannie Mae Weaver on 23 December 1911 at Union City, Randolph County, Indiana. Jesse Lewis Bagwell married Mae Smith on 31 May 1970. Jesse Lewis Bagwell died on 27 February 1981 in Greenville, Darke County, Ohio, at age 92. He was buried at Brick Memorial Park Cemetery, Union City, Randolph County, Indiana. Jeannie Mae Weaver was born on 29 May 1890 in Logan, Hocking County, Ohio. As of 23 December 1911,her married name was Bagwell. She married Jesse Lewis Bagwell, son of Reverend Elihu Burton Bagwell and Mary Elizabeth Niswonger, on 23 December 1911 at Union City, Randolph County, Indiana. Jeannie Mae Weaver died on 15 June 1962 in Greenville, Darke County, Ohio, at age 72. She was buried at Brick Memorial Park Cemetery, Union City, Randolph County, Indiana. Anna Victoria Bagwell was born on 26 July 1890 in Alpha, Greene County, Ohio. She was the daughter of Reverend Elihu Burton Bagwell and Mary Elizabeth Niswonger. As of 21 October 1911,her married name was Stoner. Anna Victoria Bagwell married Harvey M. Stoner on 21 October 1911 at Bremen, Fairfield County, Ohio. Anna Victoria Bagwell died on 13 June 1972 in Greenville, Darke County, Ohio, at age 81. Harvey M. Stoner was born on 1 July 1885 in Bremen, Fairfield County, Ohio. He married Anna Victoria Bagwell, daughter of Reverend Elihu Burton Bagwell and Mary Elizabeth Niswonger, on 21 October 1911 at Bremen, Fairfield County, Ohio. Harvey M. Stoner died on 13 October 1979 in Greenville, Darke County, Ohio, at age 94. Olive Blanche Bagwell was born on 5 September 1892 in Zimmerman, Ohio. She was the daughter of Reverend Elihu Burton Bagwell and Mary Elizabeth Niswonger. As of 20 April 1947,her married name was Stinebaugh. Olive Blanche Bagwell married Walter Curtis Stinebaugh on 20 April 1947. Olive Blanche Bagwell died on 21 July 1968 in North Manchester, Indiana, at age 75.1 She was buried at Pleasant Hill Cemetery, North Manchester, Wabash County, Indiana.